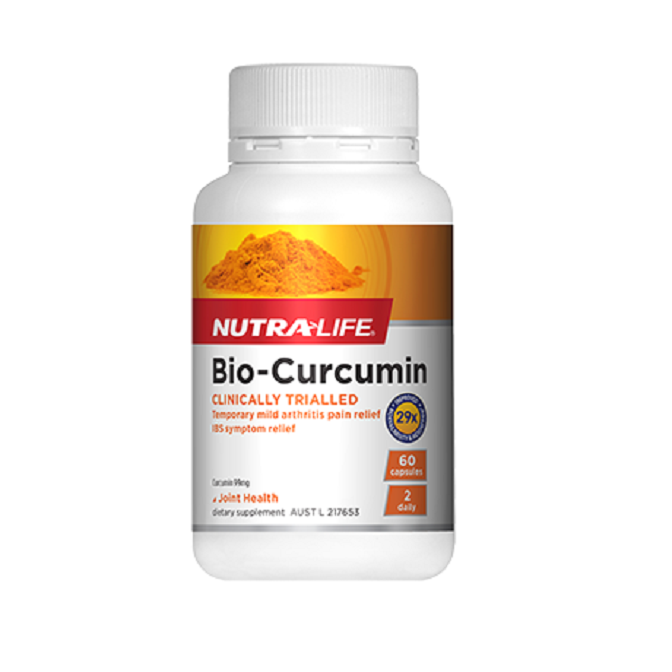 Bioactive Curcumin offers enhanced bioavailability and efficiency of absorption as opposed to regular curcumin extracts. Curcumin is the primary active component in the plant turmeric which is effective in reducing inflammation associated with arthritic pain and assists in relieving symptoms associated with Irritable Bowel Syndrome. Curcumin is the primary active constituent in Turmeric, which has a long history of use in Ayurvedic medicine. Nutra-Life Bio-Curcumin contains Meriva, a clinically trialled and patented form of curcumin, which delivers increased bioavailability and efficacy through improved intestinal absorption. Recommended Adult Dosage: Take 2 capsules daily. Or take as directed by your healthcare professional.